At the very beginning of His mission, he addressed the people from the mount of Safa. He said: ‘If I were to claim that there is an army of the enemies behind the hill ready to attack you, would you agree?’ The answer was a unanimous ‘Yes’. He went on to say: ‘Let met tell you that I have received a message from God Almighty which says that there is no God but Allah and that the statues you worship are mere lifeless images, and that you are all going to be accountable to Him on the day of Judgement’; on that, most of the people turned into his enemies, not because they thought he was lying to them but because they did not want to listen to anything against the religion of their forefathers. He was known as ‘Al-Sadiq’ (‘the truthful’) and ‘Al-Amin’ (‘ the trustworthy’) amongst the people of Makkah. Such was their confidence in him that even though they had turned into his enemies and even though they opposed his message and persecuted him and his companions, they still trusted him to keep their valuables with him. So much so that when he was forced to leave Makkah for Yathrib, he still had in his possession the valuables belonging to the disbelievers of Makkah. Therefore, at the time when he himself was forced to migrate, he gave the responsibility of returning those valuables back to their respective owners to his cousin ‘Ali (rta) who stayed back for that purpose alone. The character of the Prophet (sws) may not be as convincing an argument for the people who didn’t have the privilege of living with him. It may be claimed, not too unconvincingly, that there is found a tendency amongst the religious people to exaggerate the attributes of their revered personalities. Despite some strength in this argument, it can be said that the same is not exactly true about the Prophet Muhammad (sws), because in his case the sources that confirm the strength of his character are very authentic. 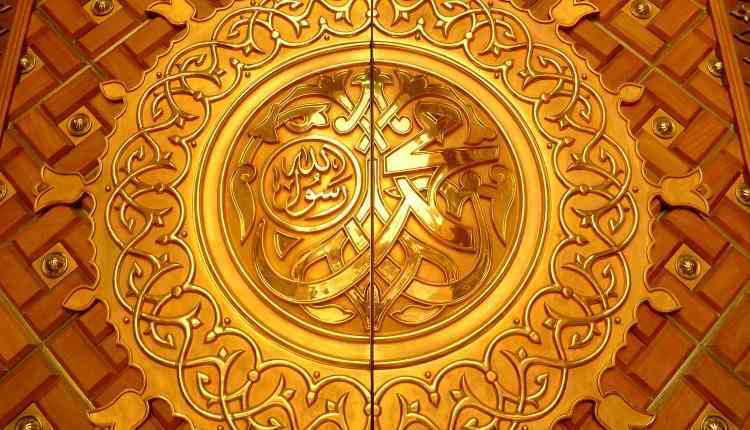 In any case, for the people of Makkah there was no justification not to believe in his claims, since he was one of them. But why should this claim be accepted by some one who is still not sure about the authenticity of the Quran of which this verse is only a part? To answer this, we should look at the manner the book has come down to us. 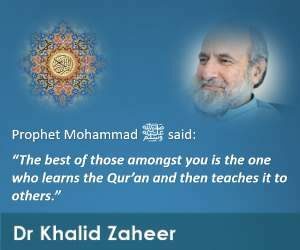 The Prophet (sws) encouraged people to memorize the Quran. Great rewards were promised to be conferred in the Hereafter to those who would memorise it. The book was recited five times a day in the five obligatory prayers, three of which were the ones where in it was recited loudly, thus facilitating the process of memorising. The style of the verses of the Quran is more akin to poetry, in that verses of one Surah normally rhyme with each other, thus making the text amenable to memorising. Not surprisingly, therefore, when the Prophet (sws) left this world, in addition to the written text, there were a number of people who had committed the Quran to their memories. The process continued in the next generations till to date when there are hundreds of thousands of people who have memorised it completely. The same fact is borne out in the incident of Hudaybiyah, when it is said that the agreement between the Quraysh of Makkah and the Muslims was about to be finalised when the Quraysh raised an objection on the title of the agreement, which said: ‘It is an agreement between the Quraysh of Makkah and Muhammad the Messenger of Allah’. The leaders of Quraysh contested that what is claimed in the title is the very bone of contention between our two parties. The scribe of the agreement, ‘Ali (rta), like the rest of the companions of the prophet, was reluctant to incorporate the change suggested because, he felt that it was against the very requirement of his faith. The Prophet (sws) however, felt that the Quraysh had raised a reasonable point, and noticing Ali’s reluctance to erase the relevant statement of the agreement, he asked him to let him know where the statement in dispute was written so that should himself erase it. That incident again shows that the Prophet (sws) himself didn’t know how to read. It should have naturally been expected from the literature-rich enemies of the Prophet (sws) to grab this God-given opportunity provided to them by the verse with both hands. However, neither then nor later on until today has there been a hint of any worthwhile response from the disbelievers to this challenge. Inconsistency is normal in human beings because they continue to learn and improve, but if you get a message from someone who is the Ultimate in knowledge already and, therefore, cannot improve any further, his ideas would never change. That is exactly what the above verse is referring to. Let us take another aspect of the message of the book. The basic theme of the Quran is guidance; while guiding, the Quran draws our attention towards the phenomena of nature, stars, oceans, human existence, heavenly bodies, rainfall, etc. Most of the facts mentioned in the Quran have been thoroughly explored in the recent times by science on the basis of its own empirical methodology. There has been no change in this book for the last 1400 year say, but the world has seen a lot of changes ever since. Such has been the extent of changes that have taken place over the last few centuries that a book of science written some two centuries ago would today be considered worthy of being read only for being through it of the stark ignorance of the people of that time. In the case of the Quran which was revealed fourteen centuries ago, the case is surprisingly quite the otherwise. The book has been explored by a number of people with a view to finding out consistency (or lack of it) in its contents with the facts discovered by the modern sciences. The results of only two such researchers are given below. Maurice Bucaille, a French scientist, named his book ‘The Bible, the Quran and Science.’ He started his attempt to compare the latest established facts discovered by science (not mere scientific theories which are as yet unproven) with the contents of the books which claim to have been the result of divine revelation. Bucaille admitted later that because of his Christian upbringing he was given to believe that the Quran was a plagiarized version of the Bible. But having gone through the contents of the Old Testament, he points out in his book, he realised that they seem to be inconsistent with some of the established facts discovered by science. Likewise, he mentions the same observation about the New Testament in the relevant chapter. However, when he talks about the Quran, he admits that he was unable to pick a single verse from it which could be claimed to be going clearly against the latest discovered facts of science. In fact, according to him, there were some verses of the Quran that helped him in getting more enlightened about the physical world than what he already was through his immense knowledge of modern science. Not surprisingly, he later converted to become a Muslim. Kenneth L. Moore, an embryologist whose book on the subject is used as a textbook in some of the North American medical colleges, was compelled to read the Quran because a few Arab students surprised him by informing him that they already knew about the latest discoveries that he was introducing them to in his lecture on embryology. The students told him that their source of information was the Quran — a fourteen hundred years old book! After having gone through the book himself, he says that if you read the Quran, there are some eighty passages which are directly or indirectly referring to information which is linked with embryology. All those passages are accurate in describing the phenomena involved in human reproduction, many of which have been discovered only recently. In a press conference, it was suggested that he might have actually been fooled by Muslims. 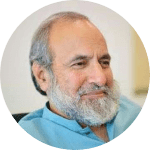 His response was that some of the facts mentioned in Quran belonged to the area of understanding which cannot be seen through the naked eye; it’s only through a microscope that those facts could be perceived. ‘Don’t tell me that Muslims invented a microscope some 1400 years ago’, he said. For 1300 years after the revelation of this verse, there was no trace of the body of Pharaoh. It was only recently (in the late nineteenth century or early twentieth century) that the body was found. After travelling via Europe to America, it has returned to Egypt, to be made available for public display, not only proving the prophecy that his body would be discovered but also confirming the other part as well, which says: ‘… many of mankind are heedless of Our signs.’ The fact that the Bible has completely missed any such mention should be a good reason for those Jews and Christians who consider the Qur’a#n a ‘plagiarised version of the Bible’ to take the claim of the Quran more seriously. It would obviously not convince a person who as yet doesn’t believe the Quran to be the word of God to accept the claims of the Quran. It is, therefore, important that the Quranic claims should be confirmed by producing supporting evidence from the Bible, the book which the Jews and the Christians believe in. The Bible is in actual fact a collection of a number of books which are together claimed by the Christians to have been divinely inspired. There are two broad parts of the Bible: The pre-Jesus Bible, called the Old Testament and the post-Jesus Bible, called the New Testament. While the Jews believe in only the Old Testament to be from God, the Christians believe in both. It would be useful to mention by way of illustration a passage each from both parts of Bible to confirm that what the Quran claims is confirmed by the Bible even today, even though the book has otherwise undergone many changes. In this particular verse, clearly there is a prophecy being given of someone who was to come later. When we carefully analyse the five underlined parts of this passage, we find that they are all fitting exactly into the personality of Prophet Muhammad (sws). The part ‘a prophet like you’ suggests that the prophecised personality was to be very similar to Moses (sws), who is the one addressed in this verse. If one were to ask a Christian as to who this verse is referring to, the answer would be ‘Jesus’. However, Jesus (sws) was completely different from the Prophet Moses (sws). The part ‘among their brothers’ suggests that the prophet to come was to be from amongst the brothers of the Children of Israel (‘their’ is obviously referring to the Children of Israel). This reference is also clearly pointing towards the fact that it could only be Prophet Muhammad (sws) who was prophecied in this verse. The reason for this belief is this that Abraham (sws) had two sons Ismael (sws) and Isaac (sws). Isaac had a son, Jacob (sws) whose other name was Israel. Therefore, the nation that emerged from his twelve sons came to be described the Children of Israel (Bani-Israel). On the other hand, the progeny of Ismael (sws) came to be called Bani-Ismael. They got settled in Makkah and its surroundings. The Prophet Muhammad (sws) was from amongst Bani-Ismael. Clearly the people of Bani-Ismael are the only ones who can be described as the brothers of Bani-Israel. Thus the prophecy that the prophet to come would be from ‘among their brothers’ again fits in amazingly to the personality of the last prophet. Thus, God verifies that the words of the Quran are God’s own, not inspired. It is also significant to note that all Quranic Surahs with the exception of one is preceded by the verse which says: ‘In the name of Allah, the Gracious, the Merciful’. In short, the verse from the Old Testament cannot be referring to any one but the Prophet Muhammad (sws). The New Testament is also a component of a number of books put together. The first four books namely Mathew, Mark, Luke and John are called the Gospels. They contain the life and description of Jesus. This conversation between the delegation sent by the Jews and John the Baptist clearly shows that the knowledgeable Jews of the time immediately before the arrival of Jesus (sws) were expecting three different personalities to arrive i.e. Christ, Elijah, and someone who was popularly regarded as the Prophet. The Christians of today should logically be looking for the Prophet whose arrival has been promised in their book. If they are faithful to the contents of their book they should believe that either the Prophet has already arrived or he is going to arrive in the future. Unfortunately, they believe in neither. However, it isn’t true in the case of all Christians. There are those who are converting to Islam because, apart from many other reasons, they are realising that it is a part of their belief in the Bible that they should believe in the Prophet. There is no doubt about the fact that if there could be any one personality that comes to one’s mind when the expression ‘the Prophet’ is used it is the Prophet Muhammad (sws). The case of one of the companions of the Prophet (sws), Salman Farsi, is another example of the way the prophecies in the earlier books lead people to discover about the arrival of the last prophet. Despite having been born in Persia(Farsi means the Persian), he left the place, being not satisfied with the religious beliefs of his fire-worshipping compatriots. He migrated to be under the religious supervision of some knowledgeable Jews and Christians. He was ultimately guided by one of them to proceed to the ‘land of the date trees’ ie, Yathrib (Madinah), where, according to the understanding of his spiritual guide, the final prophet’s arrival was expected. He did accordingly and met the Prophet (sws) and embraced Islam. Finally, it needs to be clarified that all the above-mentioned arguments do not really help directly an individual in believing in the truth of Islam. Had that been the case, all the Jews and Christians should have been Muslims. Real belief enters one’s heart only by taking the message of God seriously. When an individual seriously considers the message of God, he is bound to find that what is mentioned therein cannot be authored by any one other than the One Who has created him, for otherwise how could one explain the remarkable consistency in one’s nature and the message of God? The only reason why God’s message is rejected is that it is not allowed by the individual to influence his soul either because of arrogance or overindulgence in worldly life. Both these causes make an individual non-serious towards God’s message. The arguments of the kind mentioned above to prove the authenticity of the message or the prophets’ miracles are only meant to make the individual seriously inclined towards the message. As far as faith is concerned, it is rejected only because of the non-serious attitude of the individual who is unable to overcome the barriers of arrogance, bias, and worldly overindulgence.